The booths are all beautiful decorated, inside and out. 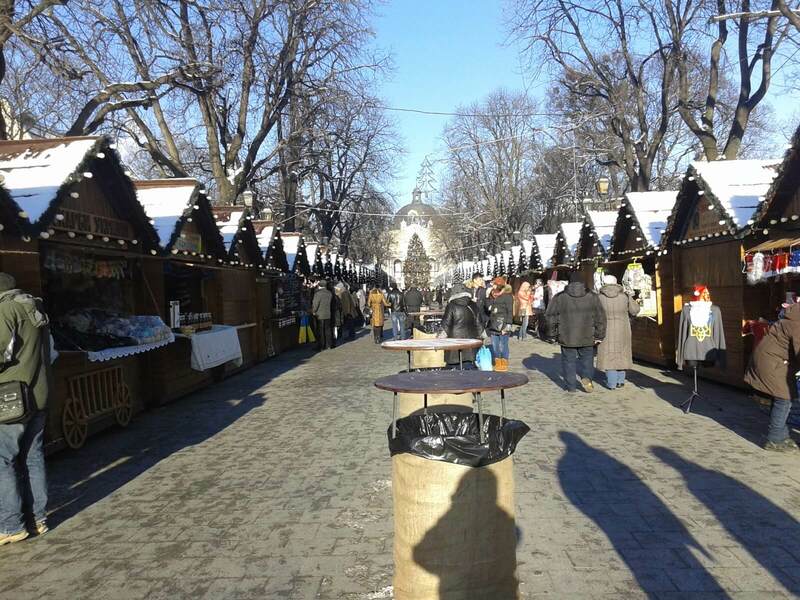 You can get hot spiced wine or honey vodka and drink it from a cup and stroll through down the promenade. This entry was posted in Mostly Tourism on January 9, 2015 by RomanInUkraine.